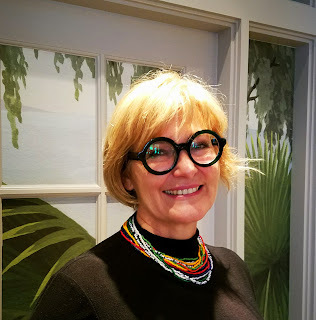 Erica Crawford is best known for her work in building former brand and namesake, Kim Crawford Wines, the sale of which enabled her and husband-winemaker Kim to buy their own vineyard land. After a contractually-mandated time away from competing, the Crawfords returned with a new take on New Zealand wine, Loveblock. Crawford hosted a small lunch for several wine writers in Southern California recently, and while enjoying the farm-to-table fare at Fig Santa Monica, she explained how Loveblock Vineyards came about. 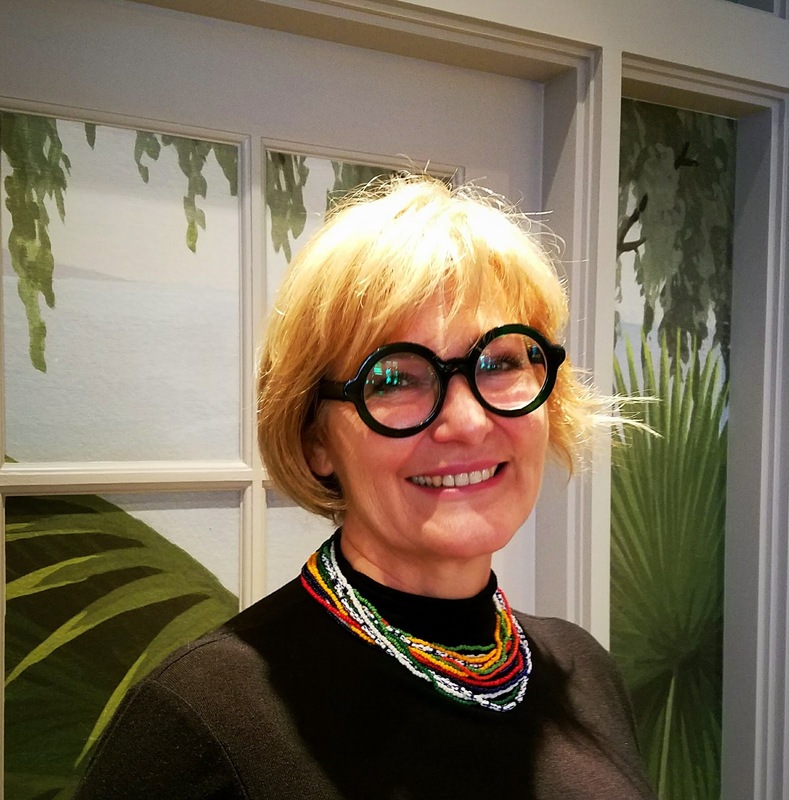 Her wild ride in the wine industry began in the 1990s, when Kim Crawford Sauvignon Blanc took off like a rocket and helped define the New Zealand flavor profile for that grape. Crawford credits that unique, bold flavor with establishing the brand, and points to their use of screwcaps as a secondary factor in their success. That sold-off brand now produces more than two-million cases annually, while the new Crawford brand, Loveblock, turns out some 28,000. While seemingly sailing along on the crest of a good wave, Crawford found that various family and business problems began to drag her down. She credits a turn toward organics for improving her well-being, from the food she ate to the way she cared for her skin. This interest in organics carried over into the Loveblock vineyards. Crawford says she's like other people, particularly millennials, who want to know where and how their food is grown. She says she and her husband strive to make wines that are elegant, restrained and complex. "Elegant" and "restrained" are words that were probably used by no one, ever, to describe the Sauvignon Blanc that made them famous. However, that was then and this is now. Those big, New Zealand grassy aromas are not completely gone in the Loveblock Sauvignon Blancs, but they are less powerful than in previous efforts. The grapefruit and grass that her husband's wines helped establish as a profile are now muted in favor of what she terms a sweeter sense of canned peaches. That change happened in the vineyard. Crawford explains that a compound which delivers the green component is lessened by sunlight, so an alteration in crop management reduced the leaf canopy on the vines, allowing for riper fruit. 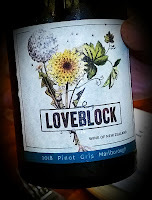 The 2018 Sauvignon Blanc and 2018 Pinot Gris are sourced from the Crawfords' own Loveblock vineyard perched on top of the hills overlooking Marlborough's Awatere Valley. Crawford says the land is "far from the agricultural bustle below ... I can almost see the end of the planet. I have always believed this site - with its unique aspect and crazy mad wind - could create wine of extraordinary character and flavor." The 2017 Pinot Noir is sourced from the Crawfords’ 15-acre Someone's Darling Vineyard nestled among the mountains of Central Otago. 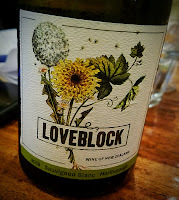 The 2018 Loveblock Sauvignon Blanc shows 12.5% abv and sells for $22. Crawford says, "New Zealand's signature varietal tends to be bold and big," thanks in no small part to her husband. This wine, she says, "focuses on texture rather than enhanced aromatics." It went through 25% malolactic fermentation in order to soften the wine. Sure enough, it’s tamer and fruitier on the nose than their previous efforts. The minerals are still there, but the sometimes overwhelming greenness is replaced by a great fruit flavor. The 2017 vintage is a little grassier on the nose and palate, but still mild in comparison to the earlier profile. 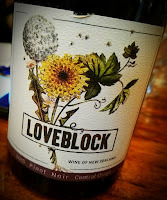 The 2018 Loveblock Pinot Noir is all Pinot Noir, and is one of the most restrained and elegant examples of that varietal that I have tasted from New Zealand. The label may say Central Otago, but the wine suggests Burgundy. It's aged eight months in used oak barrels, hits 13.5% abv and sells for $30. The nose is light and beautiful. Crawford seemed apologetic when describing it as an odd vintage, but I think she would have more on target to be boastful.